View More In Reaction Kettle Flasks. Storage tube with high vacuum valve and side-arm straight outer joint. This design allows a Schlenk tube to be sealed more completely than a standard Schlenk flask .the tube O.D. 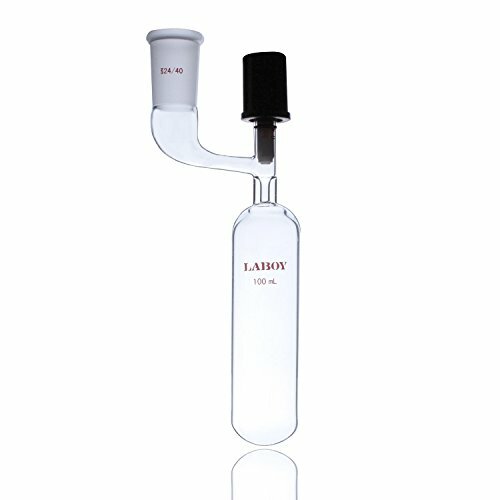 is 40mm, the tube length is 165mm.Laboy glass flasks are heavy wall designed, made by hand-blowing to ensure uniform wall thickness, made of high-quality borosilicate glass and annealed at 800 degree Celsius, can be heated directly in an open flame and can withstand typical laboratory thermal variations in Chemistry processes like heating and cooling.